Garam Masala comprises of many different types of Indian spices and is one of the most popular ingredients in the Indian Kitchen. It is the secret behind the amazing Indian curries that are not only popular in India but all around the world. The aroma of Garam Masala is actually known to cure a lot of problems. But its consumption also has some tremendous benefits on your health which can lead to a healthy body. So it is definitely worth including it in your everyday food. The subject matter will be clear after reading the following top benefits of Garam Masala. 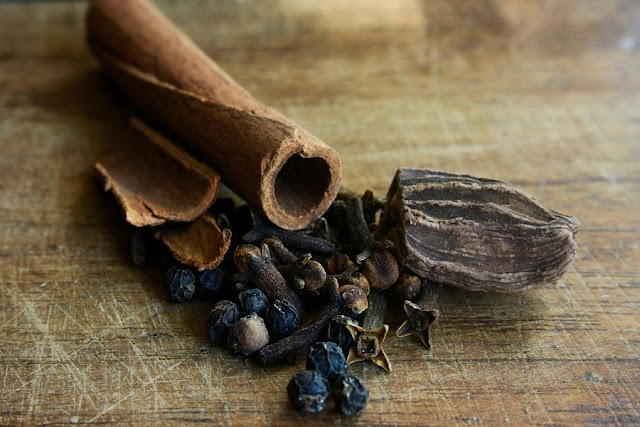 The antioxidant properties in Garam Masala build immunity and helps against maladies. You can totally rely on it for fixing basic problems like cough and cold in winters. Cumin, being one of the important ingredients in Garam Masala can help against all kinds of join pains and inflammation. That is why, it is advised to consume Garam Masala regularly especially to the older people. Garam Masala has things like cinnamon, pepper, fennel seeds etc. that involves a lot of fixing of your skin and body. It can certainly add more years to your life. The spices have properties that help in increasing metabolism. Also, it reduces the urge to eat more which helps in weight loss. The ingredients of garam masala like cumin, bay leaves and fennel seeds are very good for soothing stomach. Garam Masala helps in controlling heart rate and it also keeps the blood sugar level normal. Garam Masala has properties that help in flushing out toxins from the body. It detoxifies the body completely. It is completely packed with Cloves which has amazing properties that is great for your dental health as well as keep you away from bad breath. Since it helps in flushing out all the toxins from the body, it has reduces bloating in the body. It is less know that Garam Masala aids greatly in the absorption of minerals, vitamins and proteins therefore when you add it in vegetables or lentils, it becomes healthier for your body. Cumin seeds are loaded with iron and have a range of benefits like treatment of piles, digestion, insomnia, anemia, skin disorders, cold, lactation, bronchitis, respiratory disorders, asthma and much more. It can do wonders to your body as an important ingredient in Garam Masala. Coriander seeds It is a great source of potassium, magnesium, iron, folic acid, vitamin A K and C as well as calcium. It has some great healing benefits for the body including lowering blood cholesterol levels and controlling blood sugar levels. Fennel seeds It is great for indigestion and flatulence. Moreover, it can help nursing mothers in increasing the breast milk secretion. There are tremendous benefits of black pepper including respiratory health, healthy skin, anti bacterial property, rich antioxidant content, weight loss and much more. Bay leaves are great at detoxification of the body. It helps in slowing down the aging process and faster healing of wounds. It also helps in treating digestive problems; manage diabetes, bacterial functions and much more. It is one of the most important ingredients of garam masala and is known to have many health benefits for your body like treating IBS, cough, heartburn and bronchitis. In general, all the ingredient of Garam Masala can aid in improvising the overall health of your body. Each of them has incredible properties which makes it an important part of Indian cuisine. However, high consumption of Garam Masala can also have some side effects. So be sure to have it in small quantity. • Loss of appetite: Too much of Garam Masala is known to lead to a loss of apetite because of all the hot substances in it. • Hot stomach: Again, due to hot spices, it can lead to burning sensation in the stomach. • Feeling of heaviness: When it is not digested well, it causes a feeling of heaviness and gives burning sensation in the stomach. Spices have many therapeutic benefits. You need to have it in the right quantity to avoid any side effects and enjoy the numerous benefits of garam masala. If you have it in large quantities, chances are you will suffer from some of the side effects mentioned above. However, when it is consumed in regulated quantities it works to improve your digestive health. These are some of the side effects if consumed in large quantity especially in hot weather so you must be careful of its usage in order to enjoy the amazing benefits. How to make Garam Masala? Making Garam Masala at home is quite easy. You just need to assemble the following ingredients in small quantity and mix them all together. Once you have all these contents, you need to make sure that you have dried them enough in the sun before grinding them into a powdered form. You will have your Garam Masala powder ready. Just add ¼ of spoon to your curries to get an amazing aromatic flavor. In preparation of curries It is mostly used as a base spice. Many people also use It as a garnish for white rice or fresh fruit salad.